The new KANE Archiver software is a great way to transfer and save stored data from the KANE455 and our older analysers including 900 series and KM9106 Quintox. All transferred information is stored and saved as a .CSV file for ease of import/export and printing if required. After clicking download, if asked, save the Setup.exe file and once the download is complete, run it to begin the installation process. Microsoft .Net 4 Framework will need to be installed on your computer. 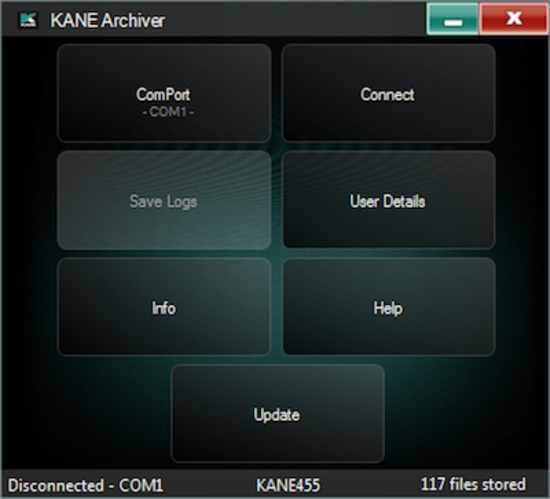 If this is not already present this program will tell you and then download and install this before it installs the KANE LIVE software. Select either "install from web" or "download then install" under the "For the desktop" title. If using the Bluetooth connection it may be necessary to "pair" your devices using the Bluetooth application in Windows. This should be done prior to launching software as this will allocate the correct "COM" port. When pairing an KANE455 you will need to enter the default passkey 1111 in order to complete this process.